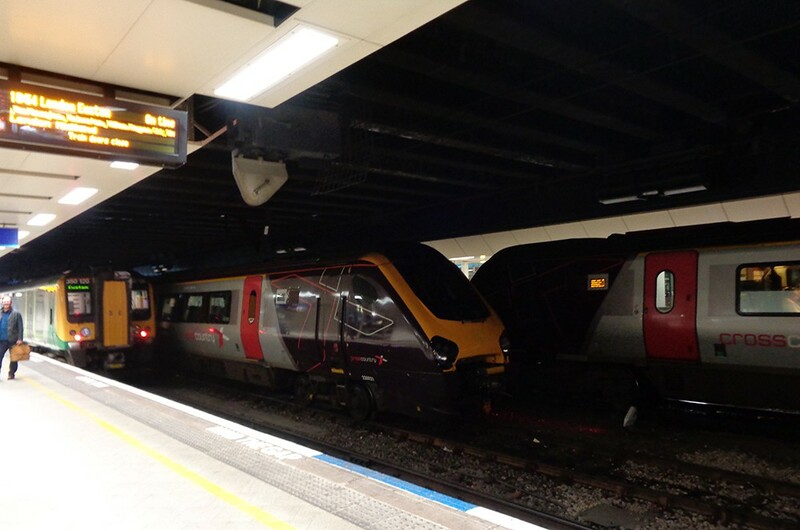 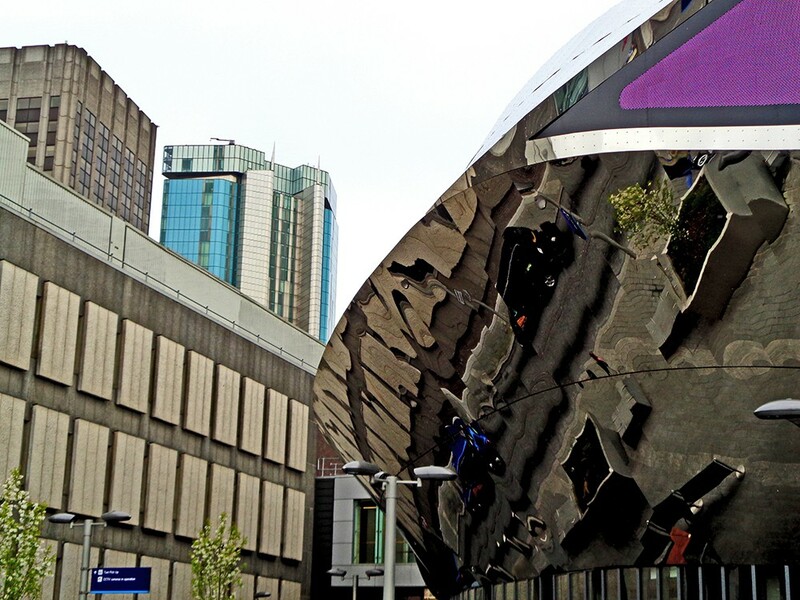 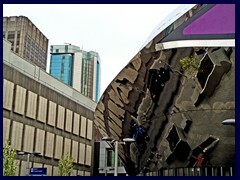 New Street Station is the new futuristic railway station of Birmingham. 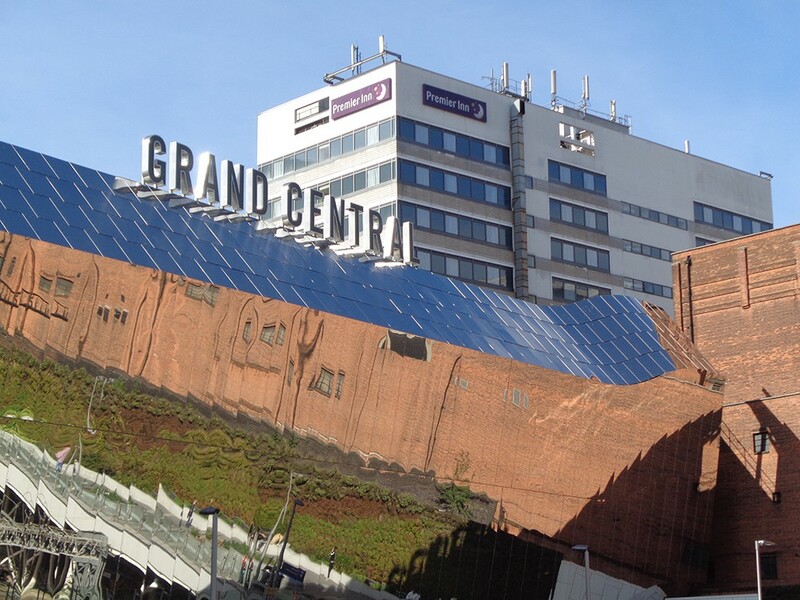 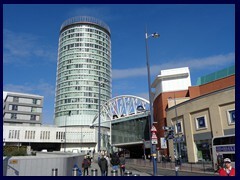 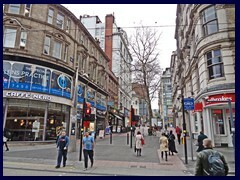 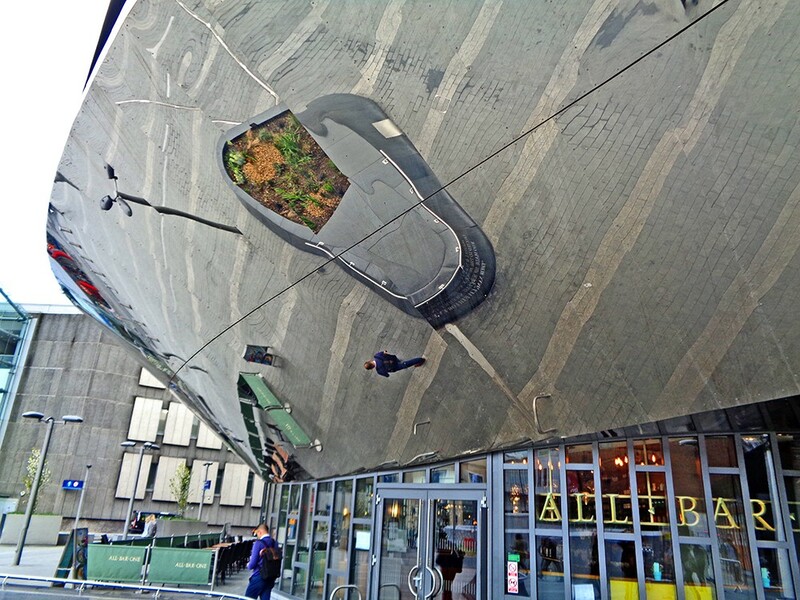 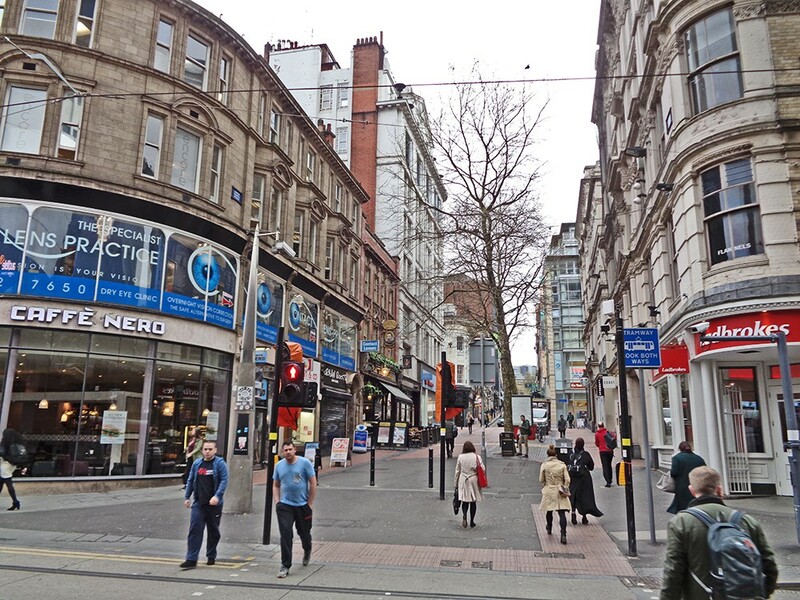 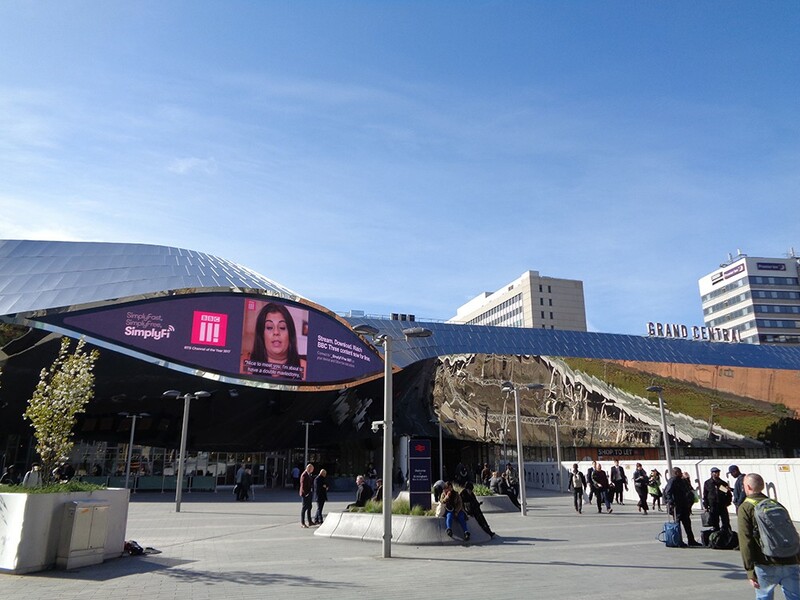 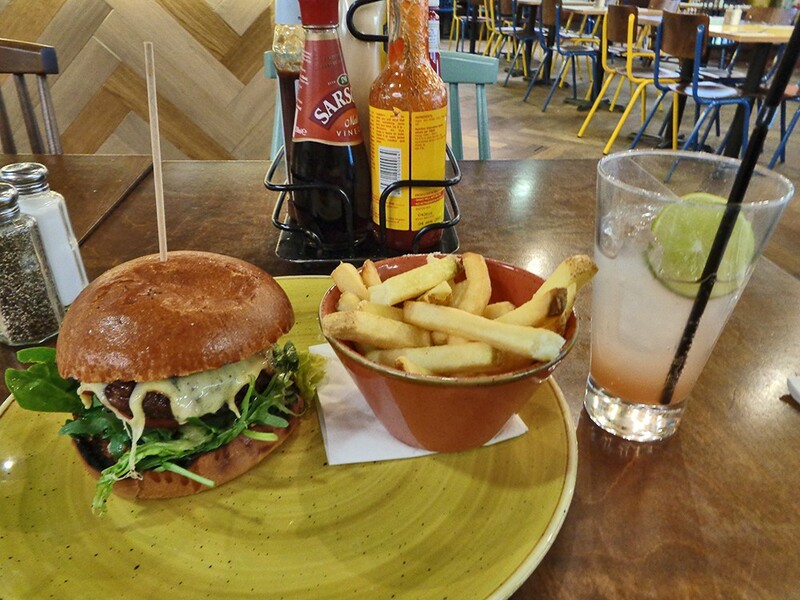 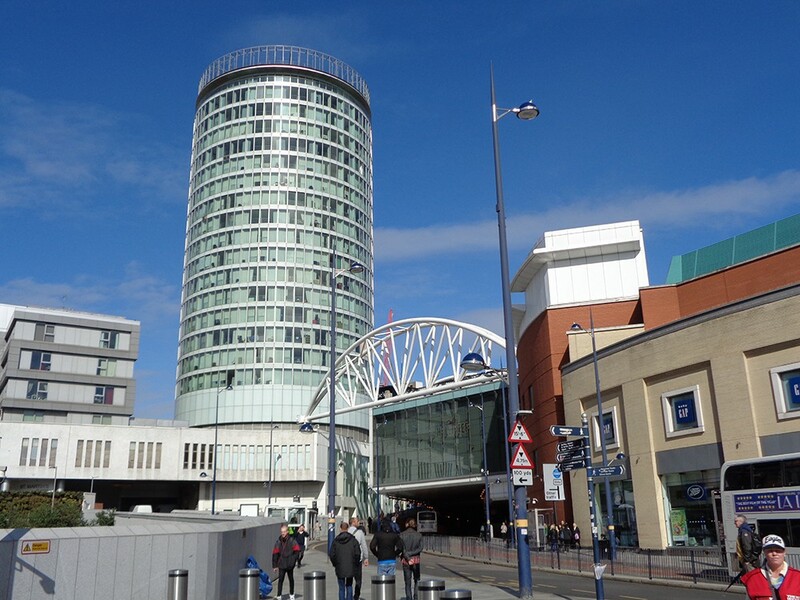 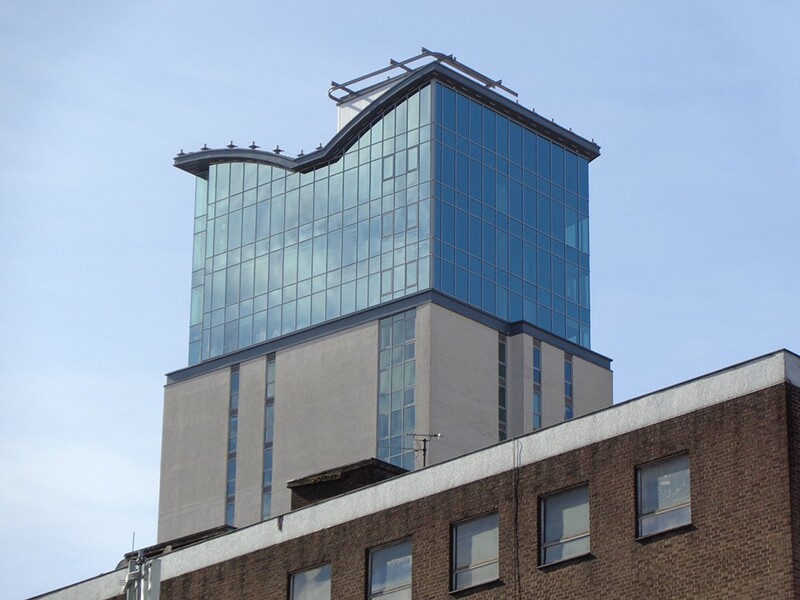 It is situated in the heart of the city centre, between the Bullring shopping complex and the popular pedestrians street New Street. 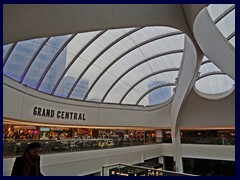 The large, futuristic shopping mall Grand Central is part of the station. 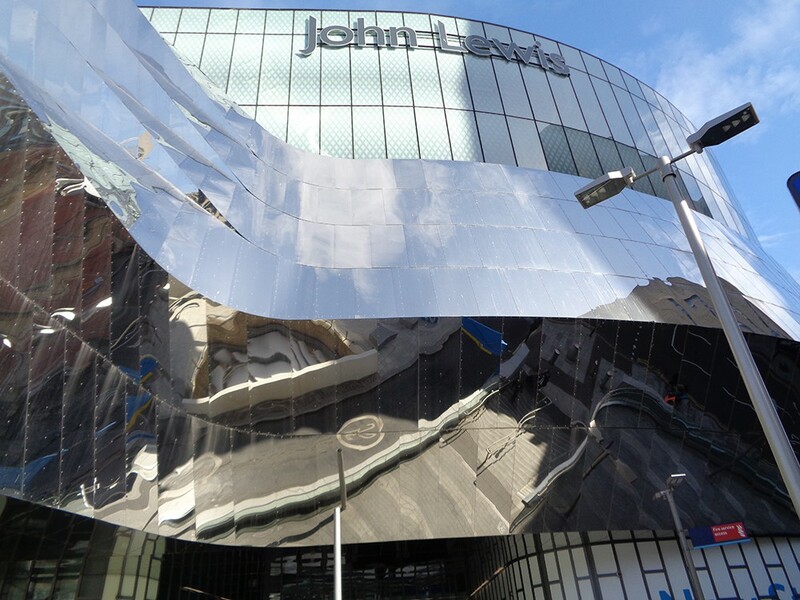 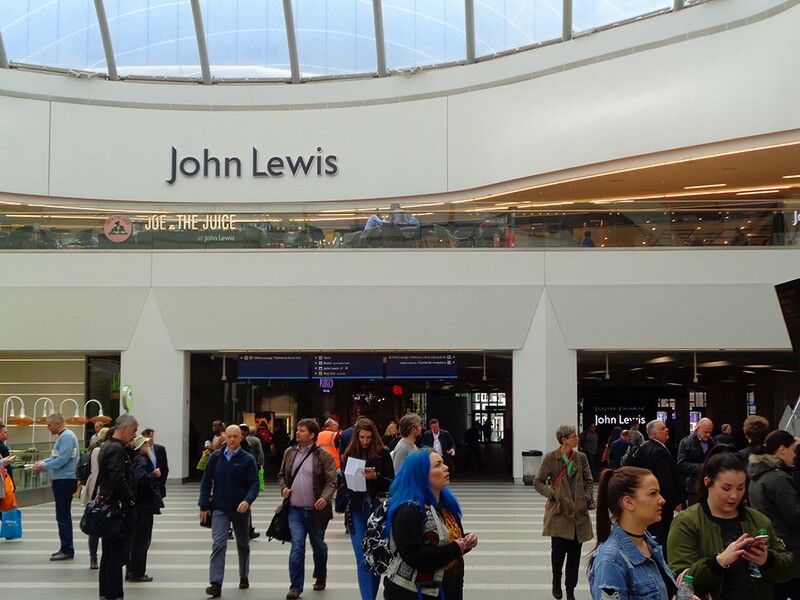 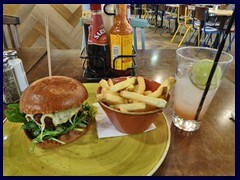 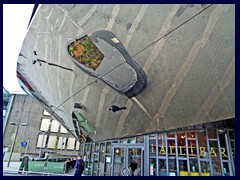 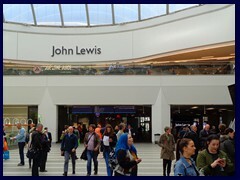 It features 62 stores and restaurants and is anchored by a John Lewis department store. 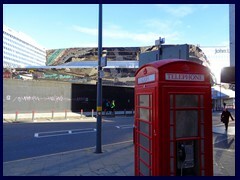 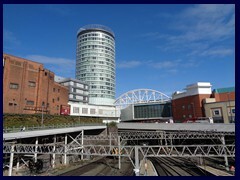 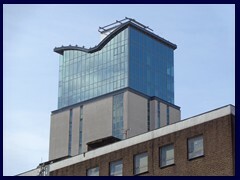 The New St Station complex occupies several bocks in the city centre. 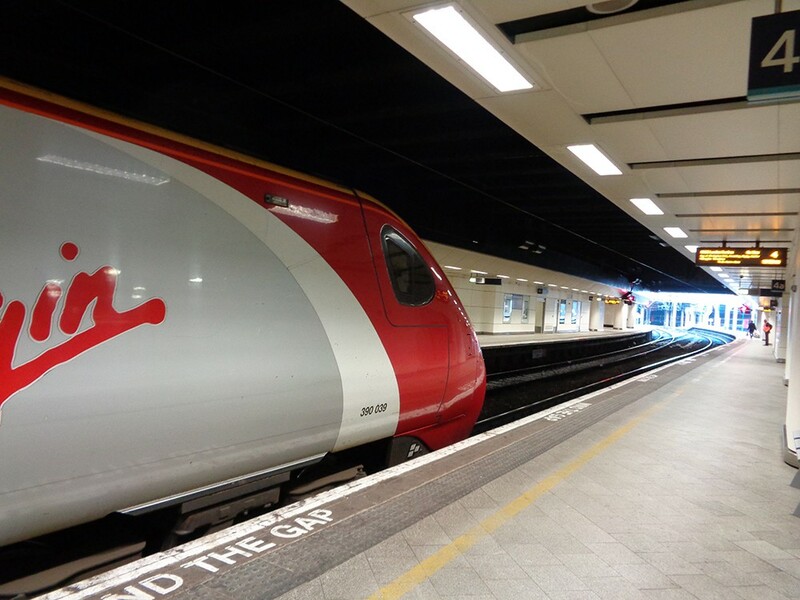 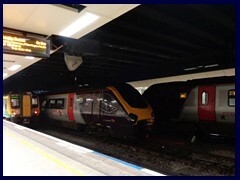 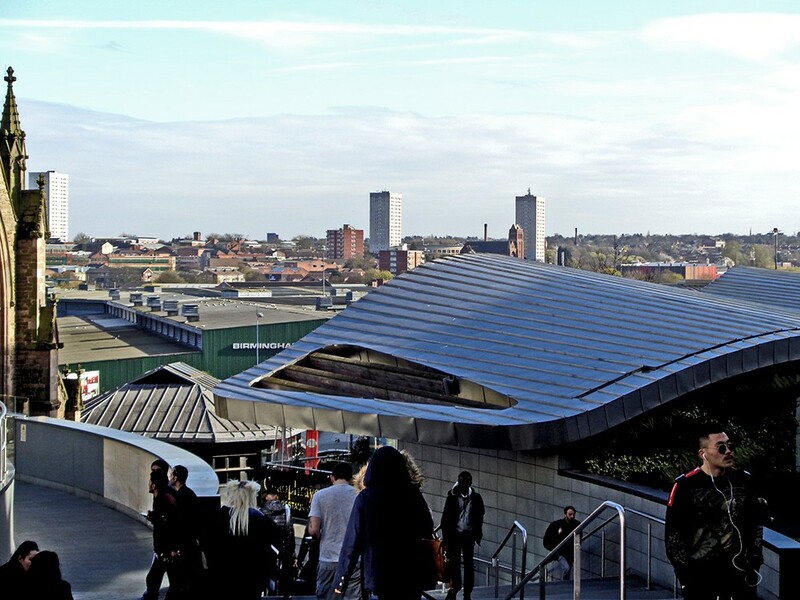 It is the 7th busiest railway station in the UK, with about 39 million passengers a year (2015/2016). 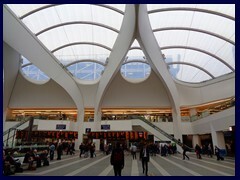 The station opened already in 1854 and was completely rebuilt in the 1960s. 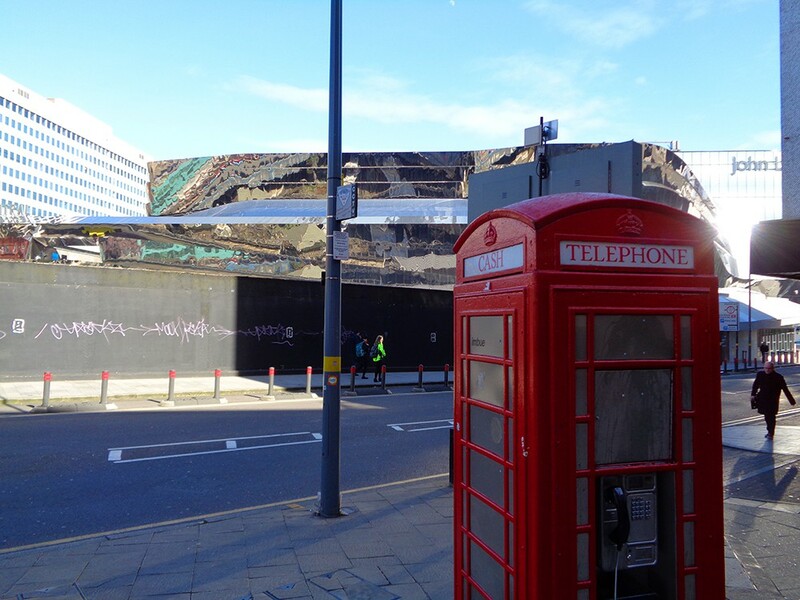 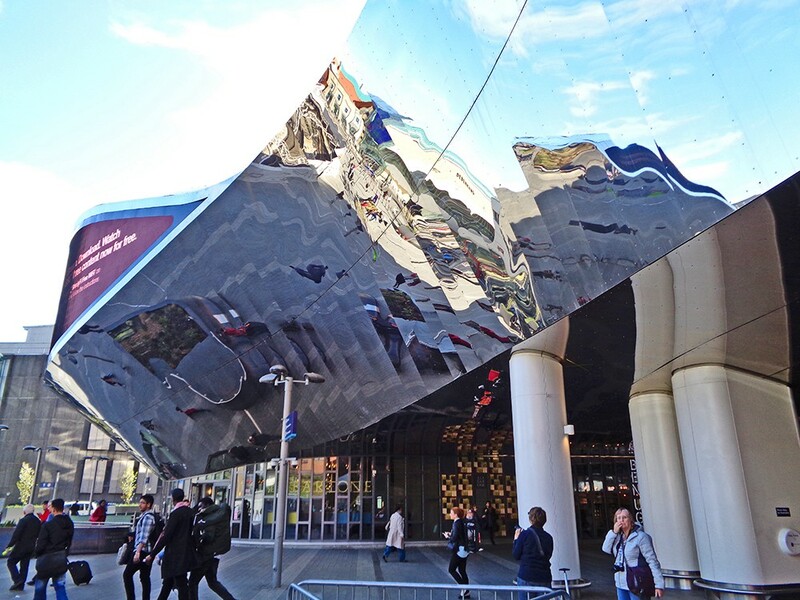 In 2015 it was time again; it reopened with a futuristic architecture after a great £550 million development called the Getaway Plus, that took 5 years to complete. 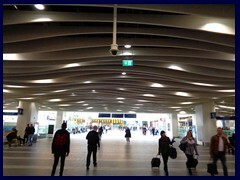 Most parts of the station are situated underground. 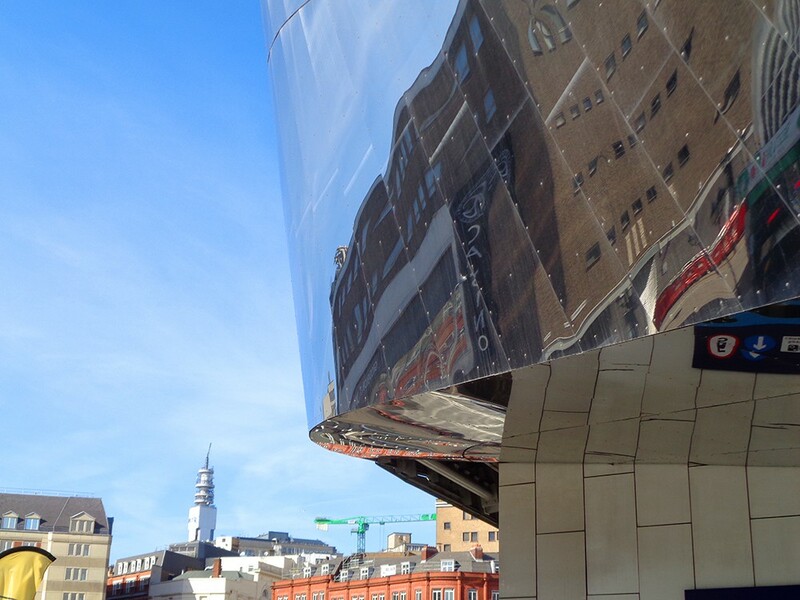 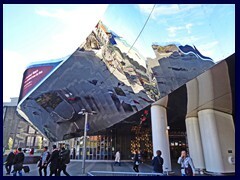 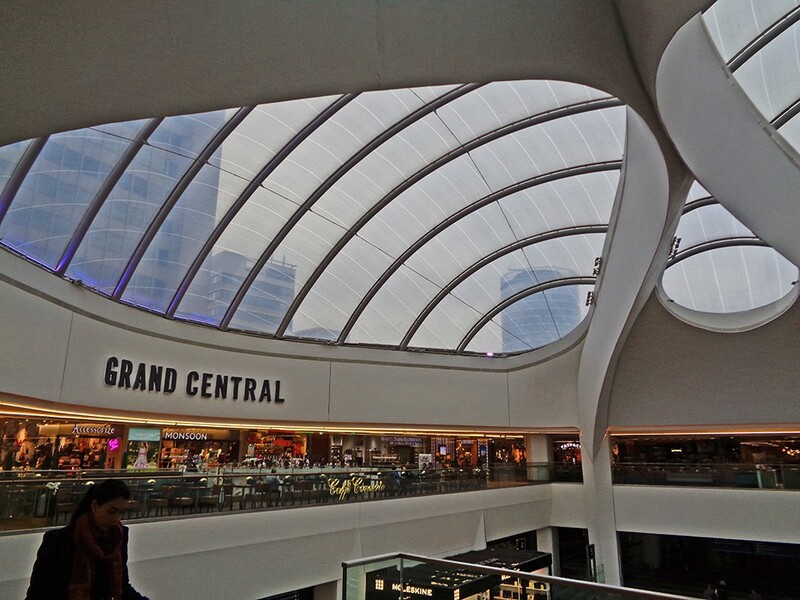 The eastern facade, facing Bullring, is filled with mirroring elements, TV screens and neon lights, creating an atmosphere that makes you think you are in a sci fi movie! 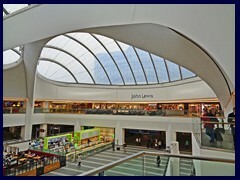 The main atrium is huge and features large curved glass roofs that enables sunlight to slip through. 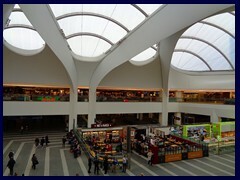 Escalators bring people up to the atrium's restaurants and the shopping mall. 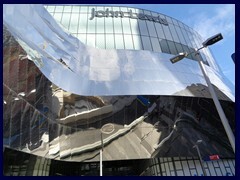 The impressive mirroring glass panels that surrounds the comples on all sides create many photo opportunities. 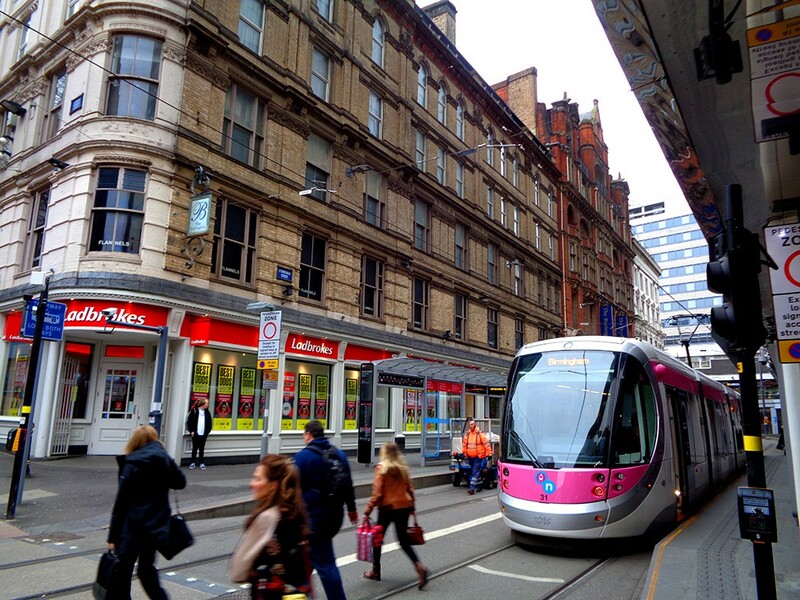 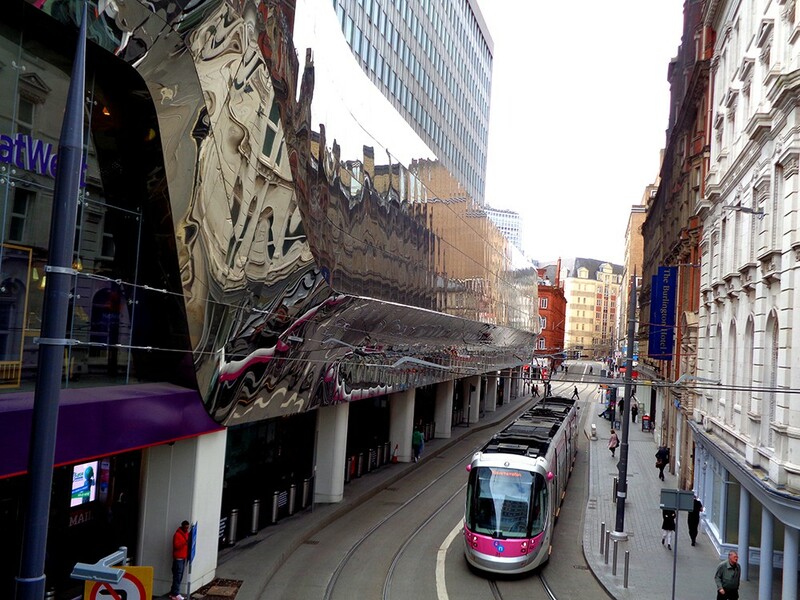 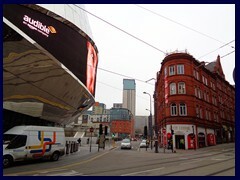 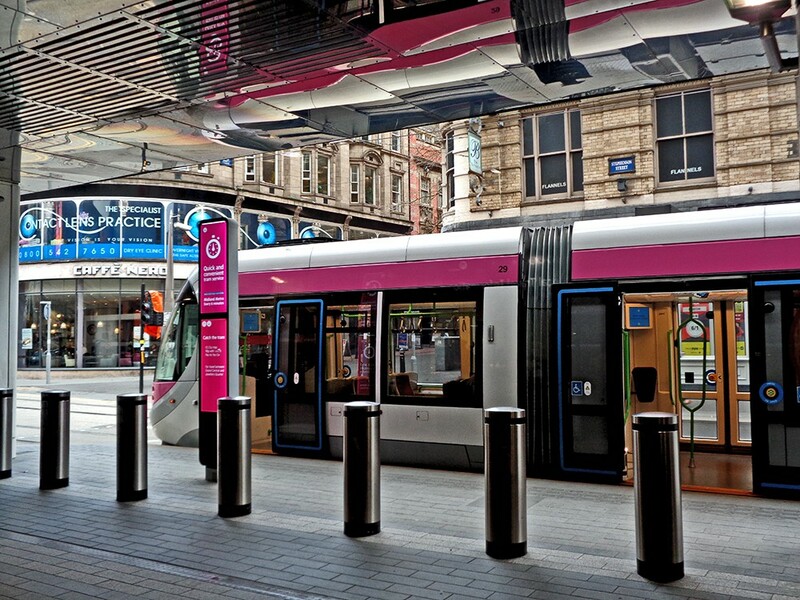 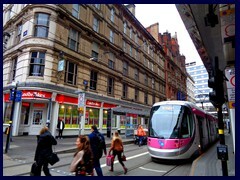 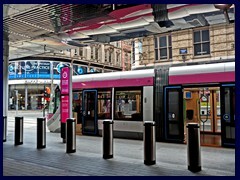 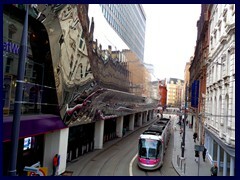 Midland Metro's futuristic Urbo 3 trams pass right next to the station's entrance at Stephenson Street. 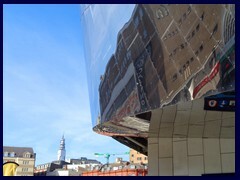 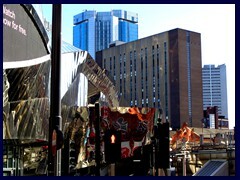 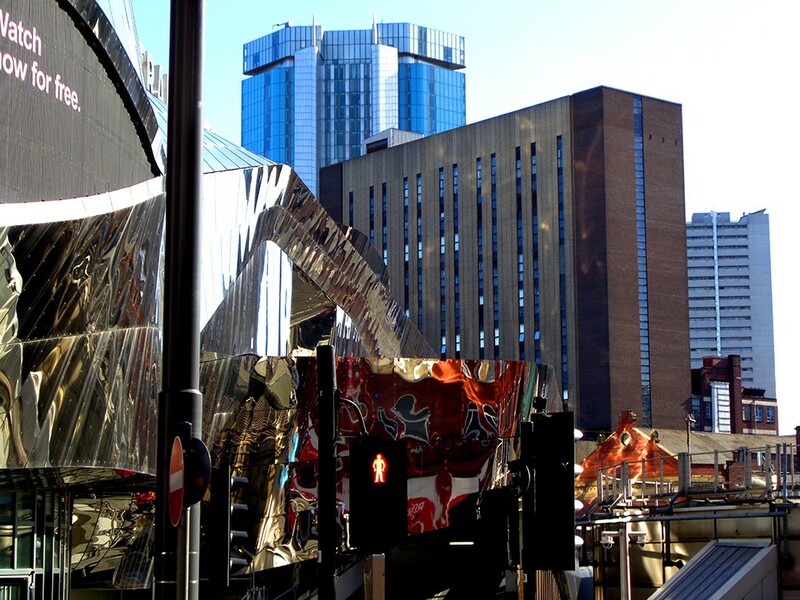 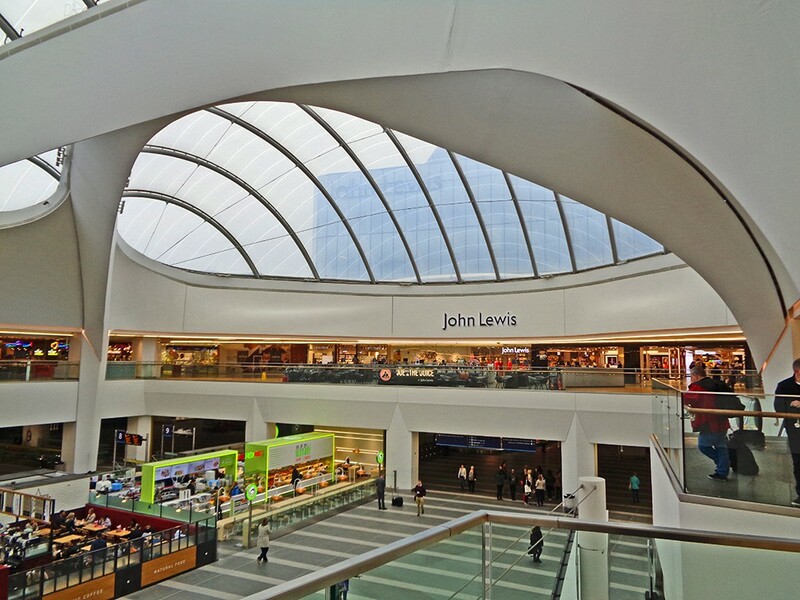 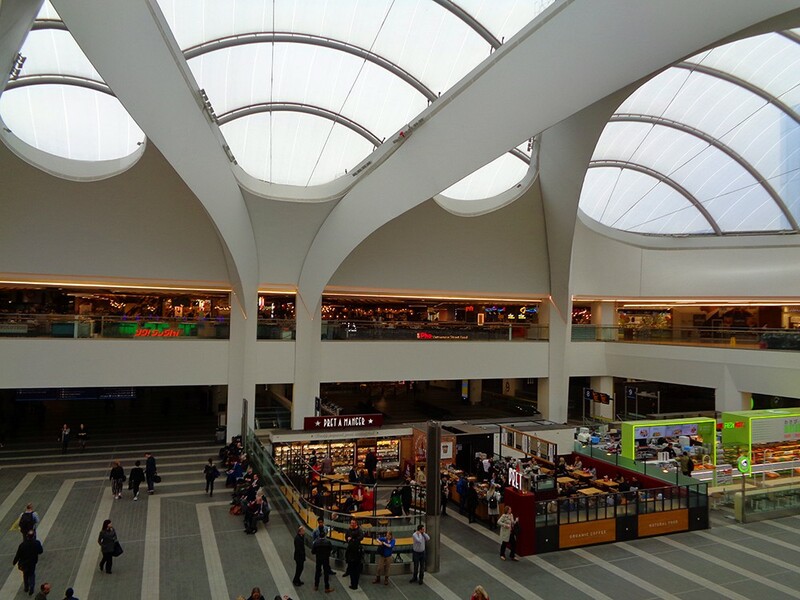 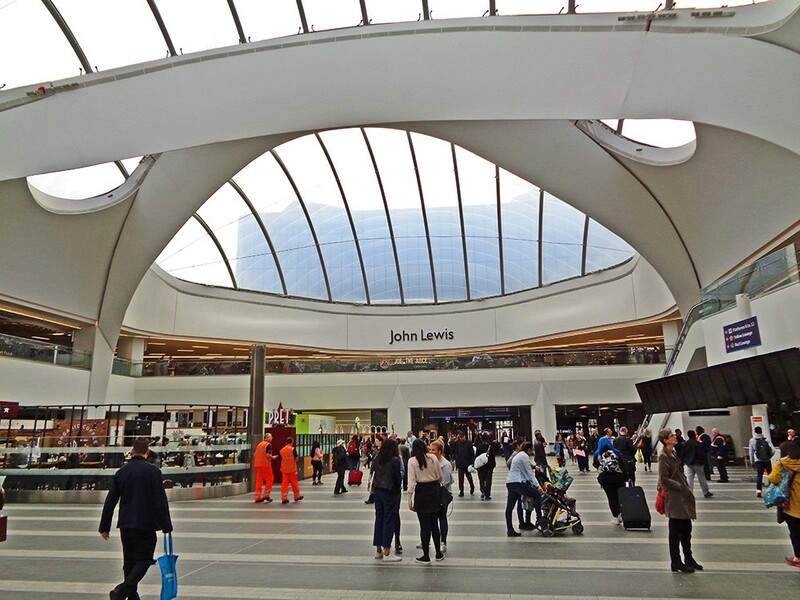 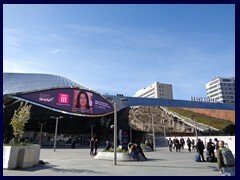 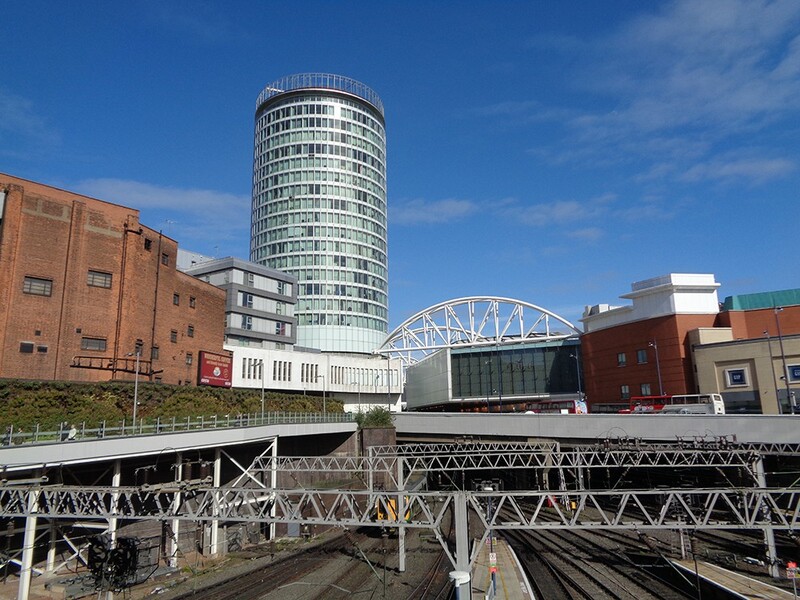 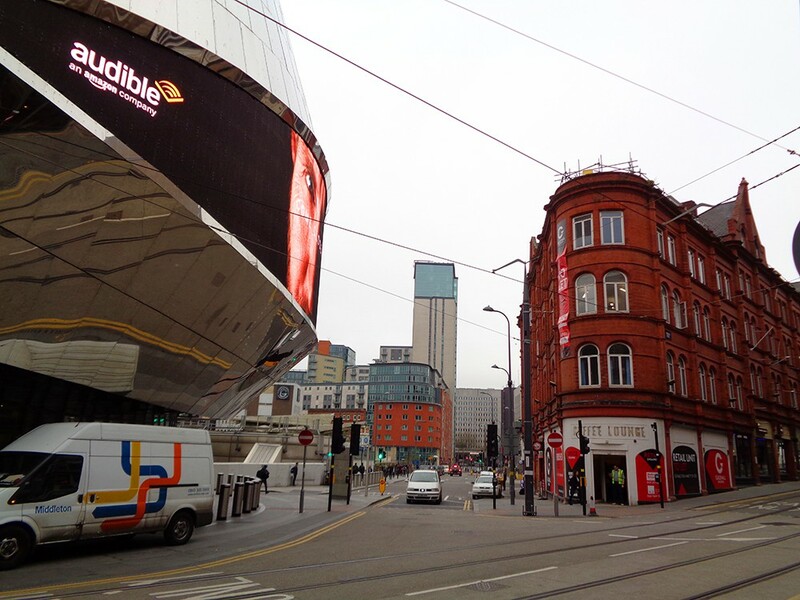 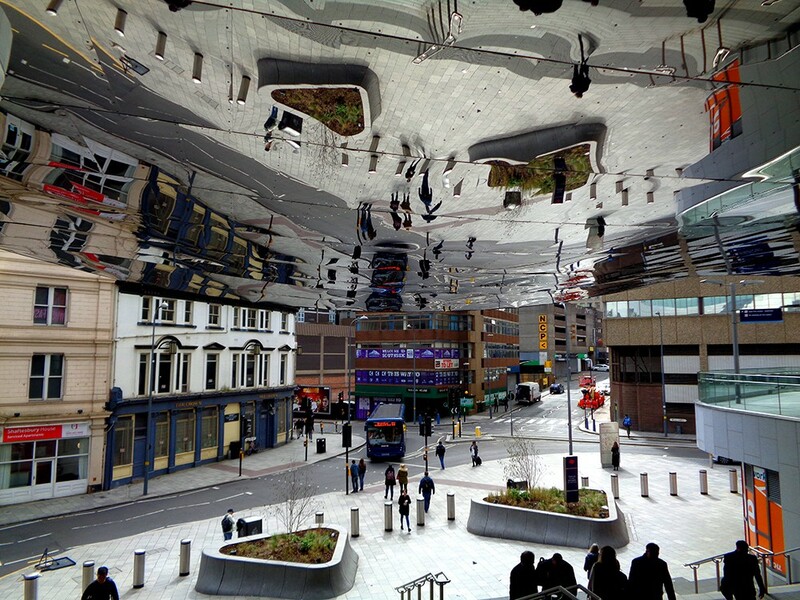 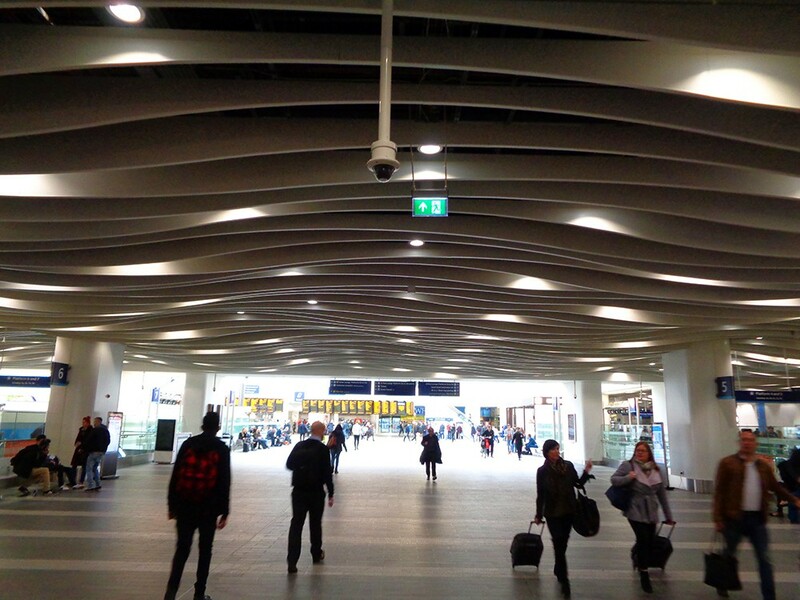 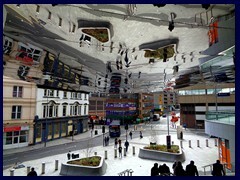 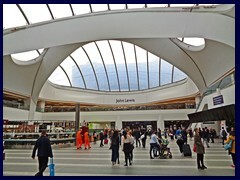 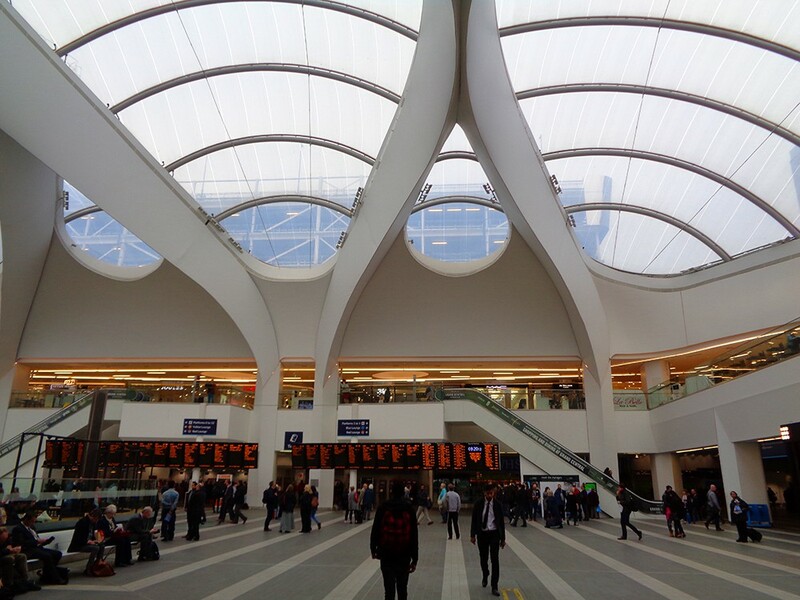 New St Station is integrated with the large Bullring shopping complex via walkways. 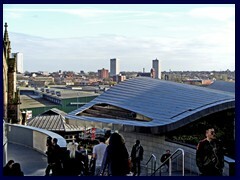 We used the station to catch a train to Liverpool in the evening.